Have you recently joined us with a dog? Or have you just added a dog to your family? At our pet-friendly Northridge, CA apartments, we wish you and your new pal a long and joyful relationship. It's time for showing love — and setting rules, too. It's time for learning the fine art of dog whispering. Take this time to enjoy the mutual learning process. Take life gently during the first few weeks. As your dog adjusts to new surroundings, be prepared for spills, splashes and maybe a few accidents. Remove cords, plants, fragile objects, rugs and household chemicals. Show your dog to the toileting space right away when you get home. If your dog does "business" in the right spot immediately, great! Nevertheless, expect some slipups, especially in the early days. And if you already have a pet, separate them at first, until they adjust to each other's scents and sounds. Keep a regular schedule of meals, walks, exercise and play time. A dog needs a balance of interactions and alone time. 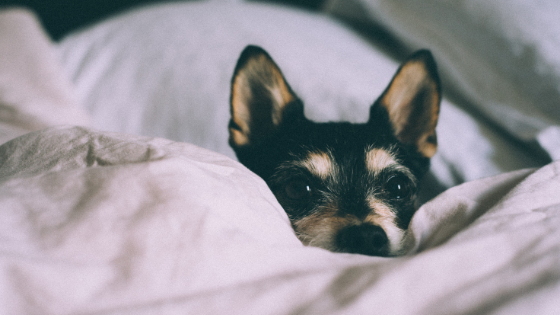 At first, even short periods of alone time can worry your dog. Expect your dog's trust to grow, and it will. Each dog is an individual, and some take longer than others. That's OK.
Offer most of your attention to your dog's good responses and actions. Use rewards and encouragement when your dog chews on a toy or does things in the appropriate places. In a few weeks' time, your dog's real self will start to emerge and flourish with you. Be gentle and patient. Yet stick to the schedule you plan to sustain. Regular habits help your dog learn what's expected and how to fit in. Soon, you'll be in your groove, whether you walk or jog with your dog, or socialize at the dog park. We look forward to seeing you both on the grounds of our beautiful Northridge apartments. And the greatest compliment you can give us is recommending Candlewood North Apartments in Northridge, CA, to a friend or family member. Call (866) 796-2183, or email us today to see available floor plans.